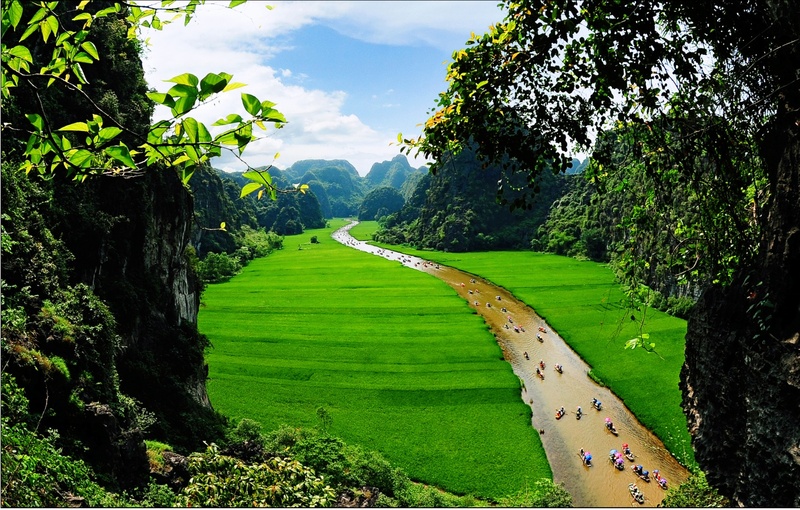 This exotic tour give you a chance to get truly experience and exploring beautiful landscape of villages, valleys, and yellow terraced rice fields in Pu Luong. You will also have an opportunities to meet local ethnic group people to explore local culture, lifestyle. 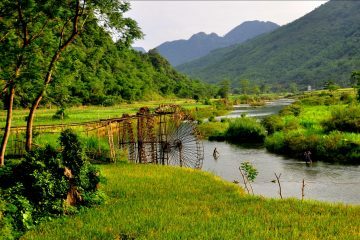 Trekking through valleys, hills and kayaking, rafting on calm river in Pu Luong nature reservation. 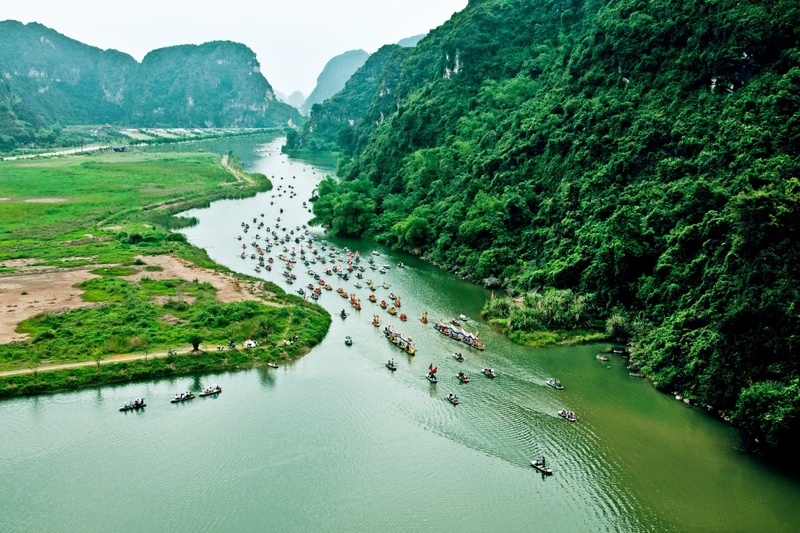 Pu Luong also connect to famous tourist destinations such as Lac village (Mai Chau), Cuc Phuong National Park and Hoa Lu – Tam Coc (Ninh Binh) and Halong Bay – one of new seven wonders of the world. So they have founded a closed loop tour for your experience and adventure. Begin your trip by discovering the Pu Luong Nature Reserve via Highway No.6. 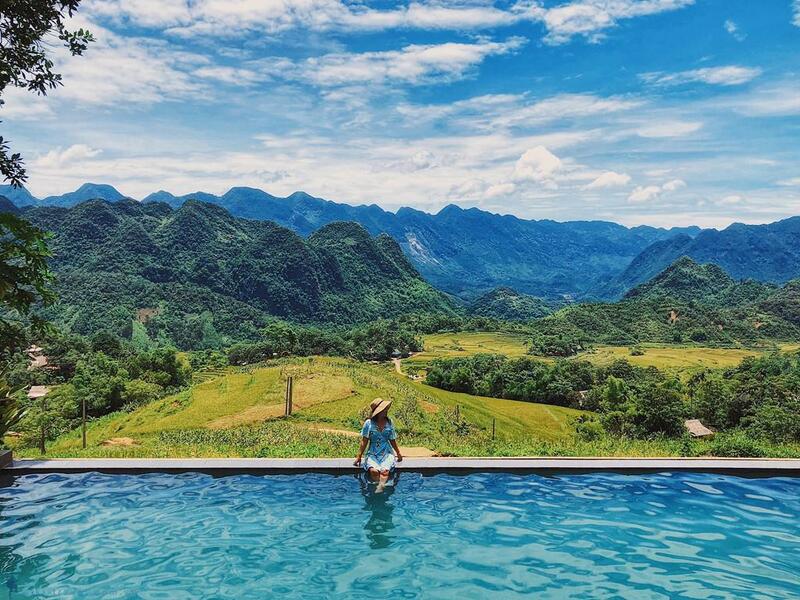 We breeze through beautiful natural landscapes that give you a panoramic view of the countryside of northern Vietnam. 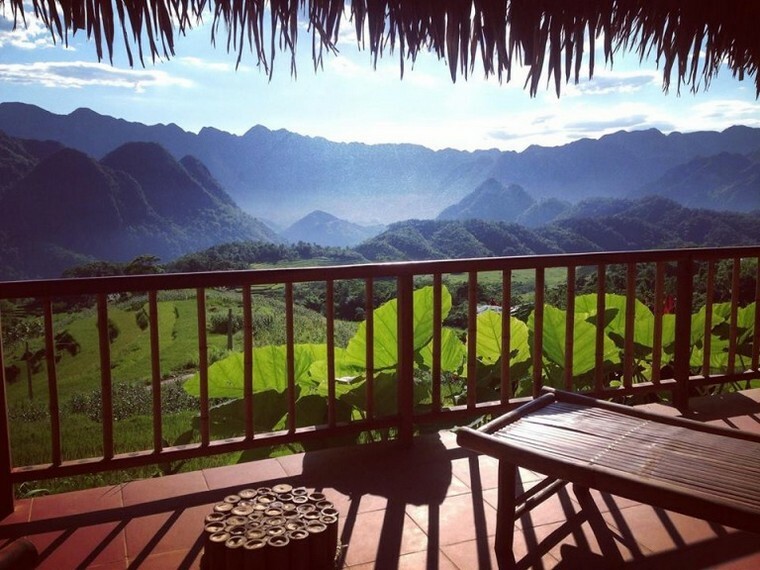 On the way, you will have a lunch at a local restaurant in Mai Chau before you arrive at Pu Luong Retreat. In the afternoon, you will have time to explore the beauty of Pu Luong Nature Reserve. You will visit a suspension bridge over the Cham River, where you begin your adventure to and see the stunning water wheels. Get up close to each wheel and discover how water is moved from the river to handmade, bamboo aqueducts via simple constructions of all shapes and sizes. Following this, you will arrive at a local fisherman’s house, and take a short rest to gear up for the rafting adventure on the calm river. Float lazily downstream and take in the peaceful views along the river, catching sight of small villages while you learn how to paddle and steer your handcrafted rafts. 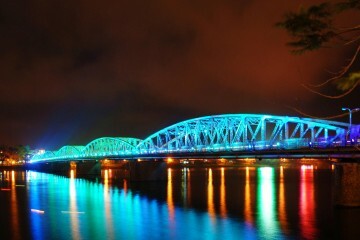 In late afternoon (5pm), you arrive at the scenic Tan Lap bridge and finish your adventure, and the chauffeur will meet you at harbor and take you back Pu Luong Retreat for dinner and overnight stay. After breakfast, you will begin in early morning to explore the beautiful valleys located around the villages of Pu Luong. 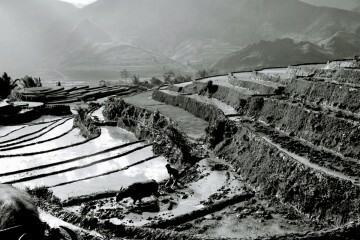 You walk around tumbling rice terraces and trek through small paths in the hills and mountains. You will have the chance to take the most beautiful pictures of Pu Luong’s villages and the unique local traditional stilt houses, and exchange with local people on your journey. 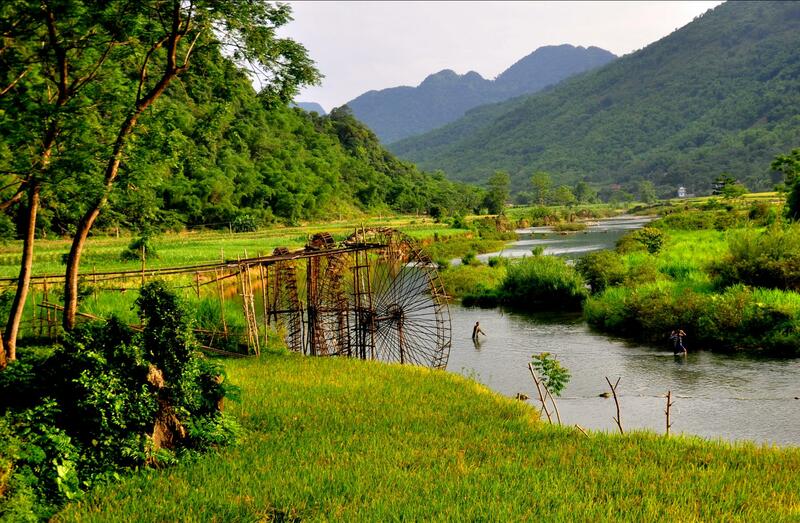 You also trek through beautiful and peaceful valley, rice fields, ponds and rivers in Pu Luong. Wake up to the sounds of the village roosters, and early morning vendors. After an early breakfast, bid farewell to Pu Luong and its friendly people and continue on your journey to Hoa Lu & Tam Coc in Ninh Binh. After lunch, you first visit the ancient capital of Hoa Lu – the capital of Vietnam in the 10th century, admire the architecture of the two temples dedicated to the kings of the Dinh and Le dynasties. 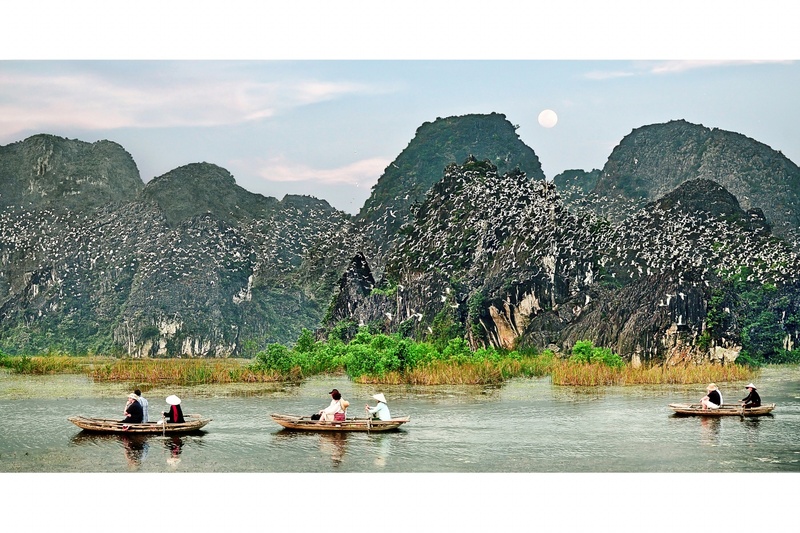 Then, hop aboard a sampan boat to explore Tam Coc grottoes (Halong bay on land), enjoy the spectacular scenery whilst gliding along the river amongst rice paddies and ranges of the limestone mountains that tower above (2 hrs). Return to the harbor and have dinner at a local restaurant before overnight in Tam Coc. After breakfast at hotel, you will then leave Tam Coc for Halong Bay, arriving at the jetty around 12:30pm. Upon arrival, you will set out on a junk cruise on the bay while lunch is served. You will pass through the magical bay, where thousands of sculpted limestone islands rise from the waves like dragons’ teeth. After lunch, take a short trek to the nearby summit for a panoramic view of the bay, then swim on a quiet beach or sunbathe on the sundeck. You will stay overnight onboard the junk. Rising to the sound of the lapping bay waters, you will have time for an early morning dip followed by breakfast. Sitting on the upper deck, you can relax while taking in the breathtaking beauty of the rocky islands rising from the emerald waters of the bay. After breakfast, explore Sung Sot Cave (8am – 9am), swim and relax at Soi Sim Beach. At 9:30 am, your boat cruises back to the jetty while brunch is served from 10:30am – 11:30am. Continue cruising through the bay, and see more of the fascinating rock formations. Cabin check-out is at 11:45am. The boat arrives at the harbor around noon, and you will be driven from Halong to Hanoi. Arrive back in Hanoi around 16:00pm. This adventure trip will take you a chance to explore beautiful scenery, experienced and exchanged with traditional culture of Thai ethnic group minority in mountainous area. 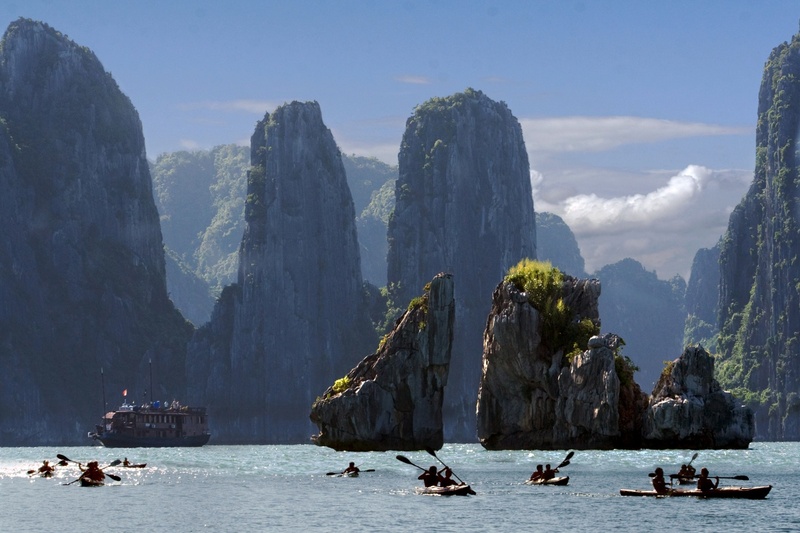 You will have also great experience to enjoy pretty valleys, caves and majestic terraced rice fields and exploring peaceful countryside landscapes by outdoor activities such as rafting, kayaking, biking, boating and cruising on Halong bay. This adventure tour will emphasize your interactions with many hill tribes in order for you to have a well-rounded and profound learning experience that you will value forever.